Where do I find the Advice/Community and Classifieds Groups? What’s the difference between the Advice/Community Group and the Classifieds Group? How do I post messages to the group? How can I change email delivery options? How can I find older messages? How can I change my email address for the Advice/Community And Classifieds Groups? How do I search for nanny recommendations/posts? Our Advice/Community Group and Classifieds Group live on a platform separate from our Specialty Groups (pregnancy groups, career groups, bilingual/heritage groups, and more). This page helps you navigate the Advice/Community and Classifieds Groups. For information about navigating our specialty groups go HERE. These groups live here. 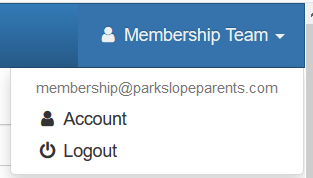 You will need to be a member of Park Slope Parents to access the messages on these groups. 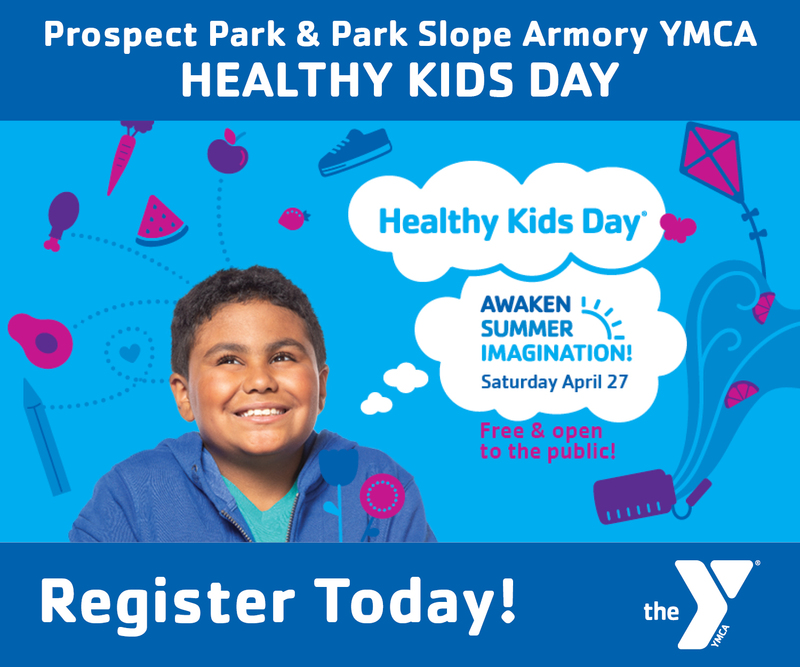 Join Park Slope Parents here. The Advice/Community Group is where members exchange information about parenting and the neighborhood. The discussions and information on this group make parenting and urban living just a little easier. The Advice/Community Group is also where our neighborhood messages are posted (e.g., free mammogram screenings, business/restaurant openings and closings, community events like photos with Santa, school events like gift fairs and Touch-a-Truck, NYPD notices and alerts, and more). Here are the types of questions you can find answers to on this group: Where's the best place to a toddler hair cut? Does anyone know a good postpartum depression therapist in Brooklyn? Where can I donate 97 fidget spinners? Can anyone recommend a reliable handyman? The Classifieds Group is where members buy/sell/trade items. The Classifieds Group is also where our members post about all things childcare (including nanny recommendations, nanny shares, and ISO ads), real estate, and teens for hire. 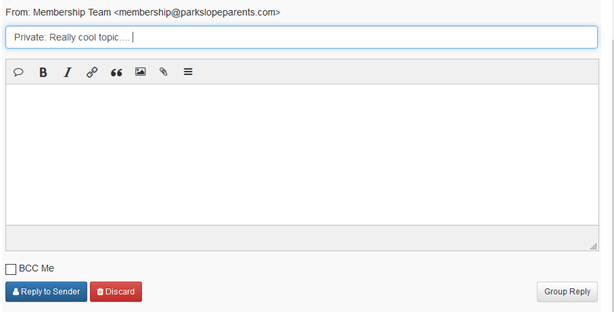 To send a message to the Advice/Community Group, please send the message to: advice@groups.parkslopeparents.com (save this to your contacts and safe sender email). • Send a summary when you get great answers to your questions! 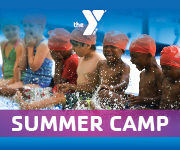 To send a message to the Classifieds Group, please send the message to: classifieds@groups.parkslopeparents.com (save this to your contacts and safe sender email). • Post location, price, and accurate condition of item. • We do not allow posts for friends (have them join PSP). • We can't post crib posts unless the crib meets June 2011 standards or later. • How do I post anonymously? • How do I post an event if I'm working with a school or non-profit? 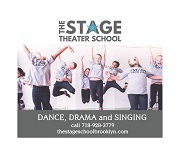 • How do I advertise on Park Slope Parents? • Can I post a recommendation/shout out? • How do I post about my nanny? • More questions? To read more information about posting to the Advice/Community Group and the Classifieds Groups, please read this article here. How can I change my email delivery options? note: The daily summary is a new option. The daily summary option is issued every 24 hours in the AM and features titles of each new topic and new replies. The post titles are listed chronologically and link to the web interface where you can read the entire topic and use the web interface to reply. The daily summary option does not include the actual posts as our digest do. So if you like to reply to posts from email, stick with the individual emails or digests. If instead, you want a summary of the topics from the past day, and are comfortable going to the web interface to read/reply, the daily summary may be a good option for you if you are looking to reduce emails in your inbox. Please note if you leave the Advice Group you will also be removed from the Classifieds. note: The Daily Summary is a new option. It is not recommended for the Classifieds if you are looking to buy things as items move quickly and waiting a day will likely take you out of the running for things you might want to buy. 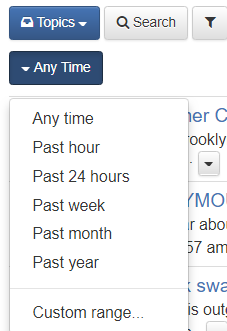 The daily summary option is issued every 24 hours in the AM and features titles of each new topic and new replies. The post titles are listed chronologically and link to the web interface where you can read the entire topic and use the web interface to reply. The daily summary option does not include the actual posts as our digest do. So if you like to reply to posts from email, stick with the individual emails or digests. If instead, you want a summary of the topics from the past day, and are comfortable going to the web interface to read/reply, the daily summary may be a good option for you if you are looking to reduce emails in your inbox. note: If you’re trying to buy things on the Classifieds Group consider using this setting, filtering these messages into a folder, and setting an alert so that you receive an immediate notification for a high demand item you might be looking for (e.g., “co-sleeper”). To search the Advice/Community Group's archives/ past messages, go here. To search the Classifieds Group's archives/ past messages, go here. How do I search using hashtags/categories? You can reply to messages one of two ways: by email or though the group's web interface, Groups.io. Note that our Advice/Community and Classifieds are set by default to go to the individual, not to the whole group. If you click “reply” you’ll see at the top that it says “Private.” These messages will not be posted to the group unless you select “Group Reply” at the bottom of the page. 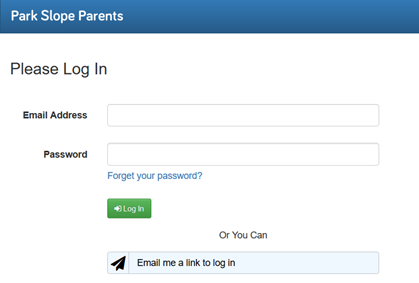 Please note you can have only one email address for your Park Slope Parents account. Troubleshooting: Did that not work? If the email address you wish to change to is already a registered member on Groups.io, you will need to have your accounts merged. To do so, email and specify the address you wish to merge from and the address you wish to merge into.